Honda's head of research and development, Sekino Yosuke, has revealed the next-generation Honda NSX could be based on the firm’s 1,000 hp Pikes Peak race car, the NSX-inspired 4-Motor Acura EV Concept. The 4-Motor Acura EV finished third overall at the Pikes Peak hill climb in 2016. That was thanks to its all-electric all-wheel-drive powertrain, comprising four electric motors that developed around 740 kW and 800 Nm of torque with a 70 kwh lithium-ion battery pack and a kerb weight of only 1,500 kg. Honda claims the electric NSX is capable of 0-100 km/h in 2.5 seconds and 0-200 km/h in 6.2 seconds. With the current all wheel drive hybrid NSX having only been on sale since last year, an all-new NSX is unlikely to be launched before 2023, when battery technology is expected to have progressed significantly. 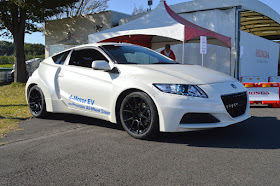 Honda first demonstrated a 4-Motor EV CR-Z prototype in 2015 with journalists who test drove the vehicle suggesting torque vectoring gave it cornering ability in a whole other league to a Model S.
While there's no denying Tesla, especially with ludicrous mode, have re-calibrated the auto-industry's definition of 'quick', it's probably less well known that Tesla's powertrain is actually based on 1990s technology with the 3 phase AC induction motor and controller designs originally licensed from EV1 drive system engineer Alan Cocconi. Unlike current high performance all-wheel drive electric vehicles, like Tesla's Model S P100D, which use 2x electric motors and conventional mechanical differentials, Honda's electric NSX features four electric motors — one for each wheel. With a dedicated motor at each corner, the Super Handling All-Wheel Drive (SH-AWD) system can precisely apply either positive or negative torque individually to each wheel. 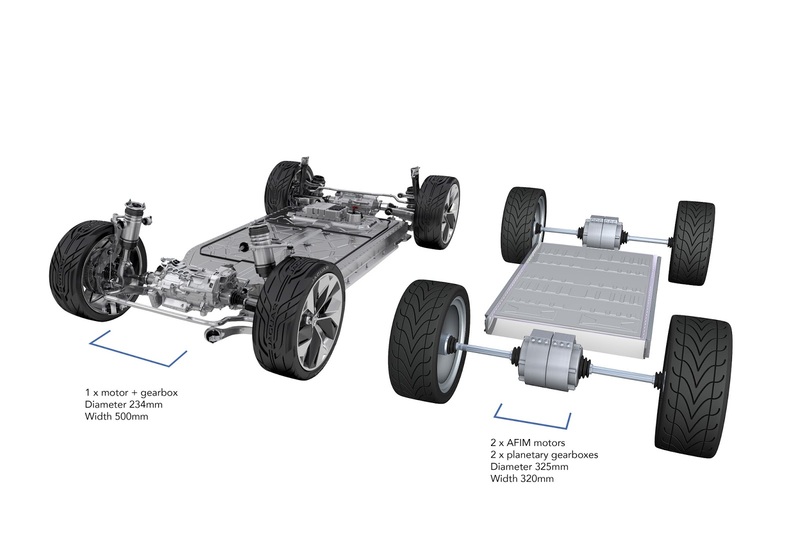 This opens the door to torque vectoring and full-time active yaw control - something that will make consumer EVs safer and more energy efficient. How does this work? 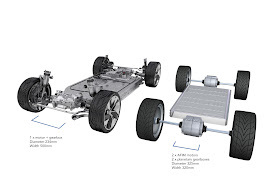 Imagine electronic stability control that, instead of applying friction brakes (wasted energy), applies negative torque (regenerative braking) to individual wheels. Unlike friction-brake based ESC, the NSX 4-Motor system can also apply positive torque to individual wheels. Not only that but positive and negative torque can be applied simultaneously across the vehicle adjusting pitch, roll, and yaw to accurately position the vehicle along any vector. Combining that range of precise control with a multi gyro inertial measurement platform unlocks an entirely new level of safety and high performance active dynamic control. 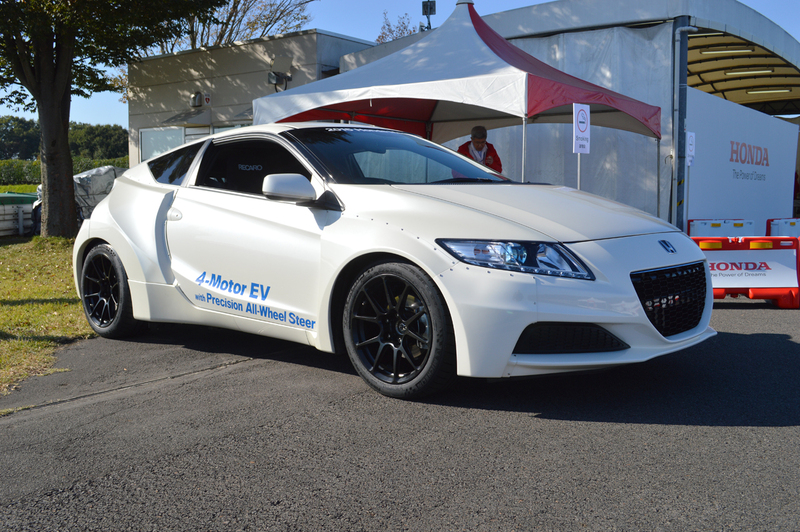 While it might be another 5-6 years before Honda's 4-Motor Super Handling All-Wheel Drive makes it into production, the team at Evans Electric are developing an AWD torque vectoring system based on compact Axial flux induction motors.